With the holidays quickly approaching, there is lots to do.Many of those things will require money, and often times, credit. Buying decorations, gifts and holiday food and drink can add up quickly. If you also donate, travel, etc, money comes more and more important. Whether we are struggling financially or not, most of us are not in the position to spend without thinking. I know my husband and I certainly are not. That is why I was compelled to accept the offer to do this sponsored post on behalf of Credit Karma™. Admittedly, I do not have the best credit score. In fact, I have a pretty awful credit score, and until recently, I never even cared enough to monitor it. I have known that good credit is important for some time, but it was something I have not had, and had no hopes of acquiring. Now, however, I see just how vital it is that I have the best credit I possibly can, and that I actively try to repair it. Since I am married, my credit not only effects me, but it effects him as well. It impacts him in two ways as a matter of fact. If I alone cannot obtain credit, that limits our finances it itself, but my low score also reflects badly on him since we are marred and actually hinders HIS ability to obtain credit as well. Since we are now looking into acquiring a second home(to rent out), we will need a mortgage. A mortgage is not easy to get approved for, and since the credit is viewed collectively between us both, I not optimistic that we will be approved. For my credit to hold us back from our dreams like that is appalling. That is why I decided I needed to get on top of my credit, find out exactly how low my score was and see the exact causes and hopefully find solutions to help me repair it. Therein lied another problem. I did not want to spend money to manage my(lack of) money, and it seemed that every credit score service wanted to charge me. I would see an abundance of credit score monitoring ads, that offered "free" TRIALS and after they trial ended(usually a week or less), I would be charged and exorbitant yearly fee. Well a week is certainly no amount of time to actually manage ones credit, so it was of no value to me. If anything, it was more of a headache. I hate having to remember to cancel things, let alone going through the hassle of actually canceling. Those companies never make it easy to cancel. They don't let you do it online, so you have to call. When you do cal, they keep you on hold, ask you countless questions and aggressively try to talk you out of cancelling, and shaming you because " managing your credit is too important not to have our service". Obviously, I know that my credit score is important, I just don't see how spending money just to access it is smart spending. I am trying to save money and reduce unnecessary spending. I know there are a couple ways to get your credit report for free about once a year, but that does not include your credit score, and once a year is not a true measure of your credit health. I had seen advertisements for Credit Karma™, and my interest was peaked, but I did not get my hopes up since I had been let down so often in the past. Since there was no trial period or fee to sign up, I gave it a shot, and I am so glad I did. Credit Karma™ truly is different from all other credit managing services. It really is free. It's sad that something that is advertised as free, actually being free is so special, but with every other site charging for their "free" report, it is a very big attribute. That does not mean much if the service itself is not beneficial though. Credit Karma™ offers a plethora of tools and resources so that you can FULLY understand your credit data and see what it impacts and how. 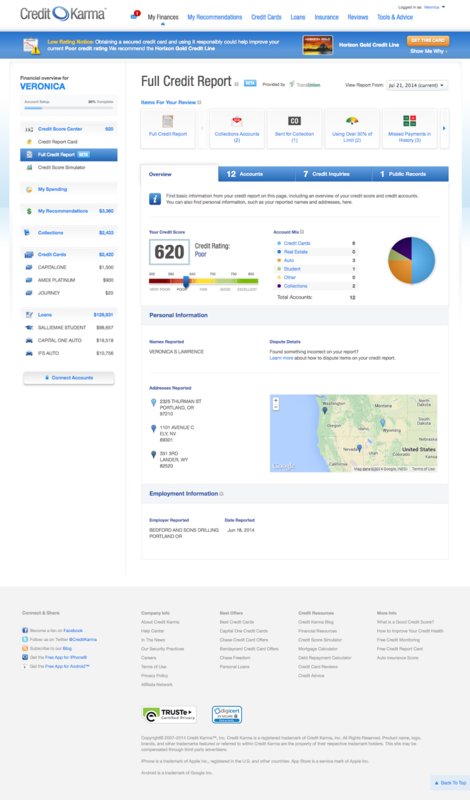 You get your weekly score and report, and even credit monitoring and more. 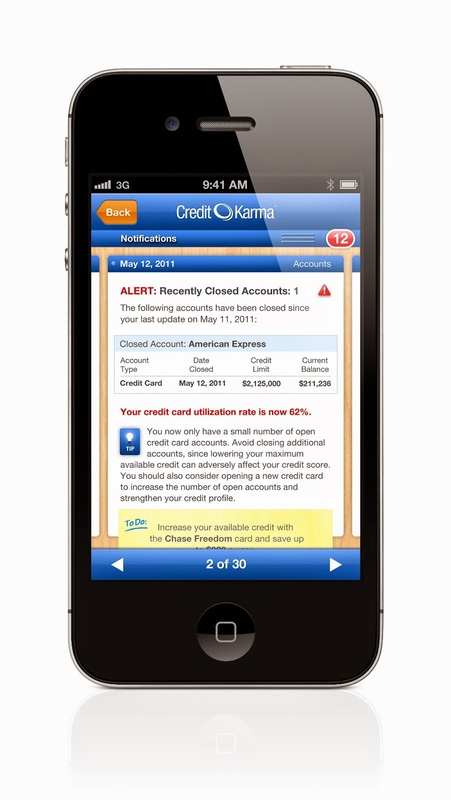 Credit Karma™ monitors your credit EVERY DAY, and sends you alerts when something changes. While it is not full on identity protection, it is a fantastic prevention method, and an invaluable service that I am amazed it offered for free. The credit report used is the Trans Union report, which is important because it is one of the 3 sources used by lenders to evaluate consumers. That is one of the confusing things about trying to manage your credit. There are so many sources and not all of them are even important. There are over 50 FICO branded scores from each of the major credit bureaus alone, and they are educational scores only. The score from Credit Karma™ is a REAL score. Better still, Credit Karma™ is able to match credit and personal finance profiles with financial products that makes sense(doing this is how they keep their services free). This is very important when shopping for credit, since only the good options are even offered to you. With more than 30 million members, Credit Karma™ is able to conduct in-depth analysis of the likelihood you will be approved(always good to know before applying). Also, since other Credit Karma Members leave reviews of their personal experience with these offers, you will have all the (unbiased) information about the product before you apply, so you can be confidant you are choosing the right one. I am so glad that I have found Credit Karma™, both my husband and I feel so much more confidant in our finances now that we can see everything and understand how what we have done has effected us. We especially love seeing the projection of IF we do something how it will impact our score and seeing the A, B, C, D, F Grading system that breaks everything down very clearly for us. If you are ready to take control of your credit data, there is only one logical choice, and that is a choice that gives you everything you need without taking(money) in return. Only Credit Karma™ does that. Need Extra Cash this Holiday Season?